one + 3 = Required Please enter the correct value. 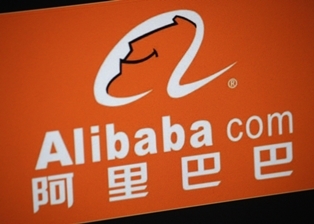 According to a report today from The Wall Street Journal, the Alibaba IPO date is likely to occur sometime in September. The report, citing unnamed sources, says that Alibaba Group Holding Ltd. (NYSE: BABA) would like to wait until after Labor Day (Sept. 1) to hold its official IPO date. Initially, rumors called for the Alibaba IPO to take place on Aug. 8, due to the "lucky" connotations of the number eight in Chinese culture. Last week, Alibaba announced that it would begin its IPO process at the end of July, including its "roadshow," which pushed estimates back. Apparently, Alibaba doesn't want to rush to complete the IPO process in August, which it considers a slower month for IPOs. "[The IPO] process is right on track. It's more important to get it right than to get it fast," The Journal's source said. Interestingly, since 2005, August has been a busier month than September for U.S. IPOs. According to IPO investment research firm Renaissance Capital, 102 IPOs have taken place in August since 2005, compared to 85 for September. The fact that the Alibaba IPO date has been moved is not surprising. Deals of this magnitude are frequently pushed back to create more time for a company's roadshow. 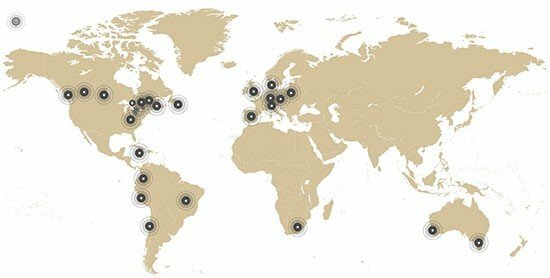 During roadshows, company officials travel around the world and make presentations to various analysts, hedge funds, and any other potential investors in order to ramp up excitement prior to the IPO. The final Alibaba IPO date may not matter much anyway, considering how frenzied the U.S. IPO market has been in 2014. Through June, 147 companies had held initial public offerings in the United States, making this the busiest year for IPOs since 2000. Additionally, Alibaba is planning one of the largest U.S. IPOs ever. 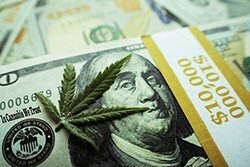 It will draw huge media attention and investor interest regardless of when it takes place. 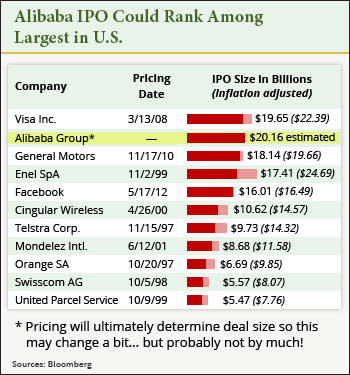 Numerous estimates place the Alibaba IPO price at $20 billion, which would surpass the $19.65 billion Visa Inc. (NYSE: V) raised in 2008 as the largest U.S. IPO ever. More conservative estimates still expect Alibaba to exceed the $16 billion Facebook Inc. (Nasdaq: FB) totaled in 2010, making it the largest Internet IPO in history.